Raw Fury has announced the release date and more details for Kingdom Two Crowns, the latest installment of the Kingdom series. Kingdom Two Crowns is scheduled to release on December 11, 2018 for Nintendo Switch worldwide. An additional Japan-inspired setting called Kingdom Two Crowns: Shogun with its own unique set of NPCs and strategies will be ready at launch. Check out the teaser trailer and details on the Shogun setting below. A challenge awaits all who seek it here, whether you are a first-time ruler or a longtime fan. So be brave, great monarchs, for in the end Two Crowns shall reign stronger than one! Over 3 million monarchs have experienced the enigmatic and evocative world of Kingdom since its original release in 2015, and now the next installment of our bestselling franchise is nearly upon us! Kingdom Two Crowns will release worldwide on December 11th for PC, Xbox One, Switch, and PlayStation 4. Kingdom Two Crowns will introduce new incredibly vibrant and unique campaign settings for fans to explore. At launch, Kingdom Two Crowns will feature an additional stunningly gorgeous Japan-inspired setting we’re calling Kingdom Two Crowns: Shogun which will be filled with its own unique set of NPCs, strategies, and mystery. This is on top of the already revamped and reimagined medieval backdrop Kingdom is known for, which will also don its own NPCs and more. Furthermore, additional settings will be coming to Kingdom Two Crowns post launch, each with completely new environments offering their own different items and characters. These aren’t reskins, they are settings that offer different strategies to ruling in Kingdom. This is the most extensive undertaking of Kingdom we have ever attempted but one look at that teaser trailer and you can see it’ll totally be worth the wait. Both the current setting and the new Kingdom Two Crowns: Shogun setting overhaul Kingdom’s permadeath mechanic and introduce a new campaign style where death will still be your best teacher but you won’t be punished as severely as before. For veteran rulers, there are plenty of new mysteries to solve in our beloved horse riding simulator. For monarchs who have yet to traverse these lands, Kingdom Two Crowns will make you swoon with its remarkable aesthetic and keep you engrossed with its simple yet brilliant strategic depth. Kingdom Two Crowns will feature couch co-op on all platforms and online co-op for most platforms at launch (we’re exploring online for Switch at the moment). For Xbox specifically, Kingdom Two Crowns will be a part of Game Pass in December. Kingdom Two Crowns is shaping up to be the best entry in our beloved series.We’ll be sharing more over the next month so join our Kingdom obsessed community on Discord, follow us on Twitter, sign up for our newsletter, or check out our brand new Kingdom site! 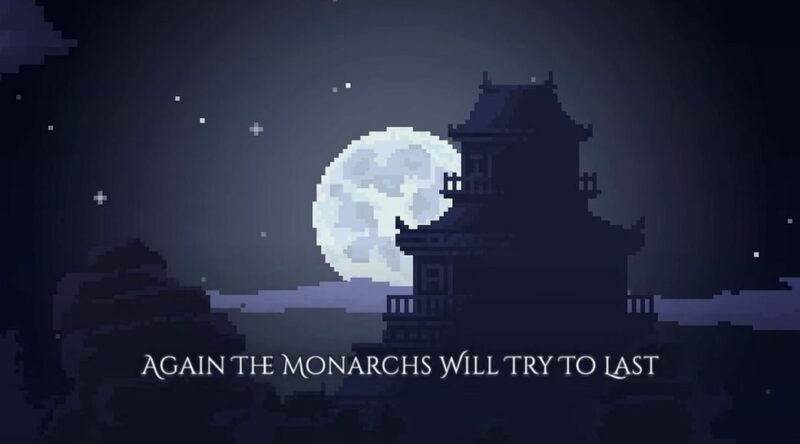 Safe travels, future rulers.